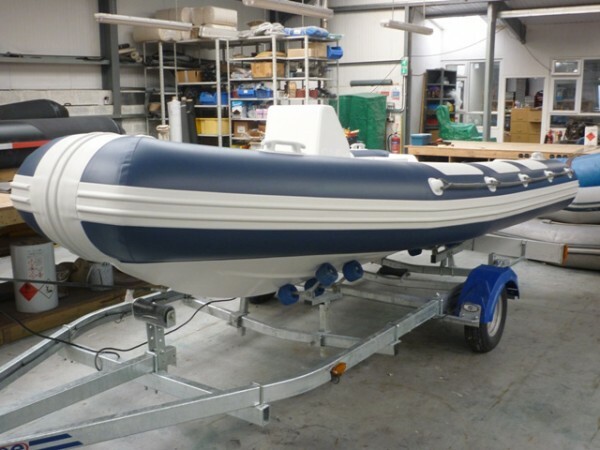 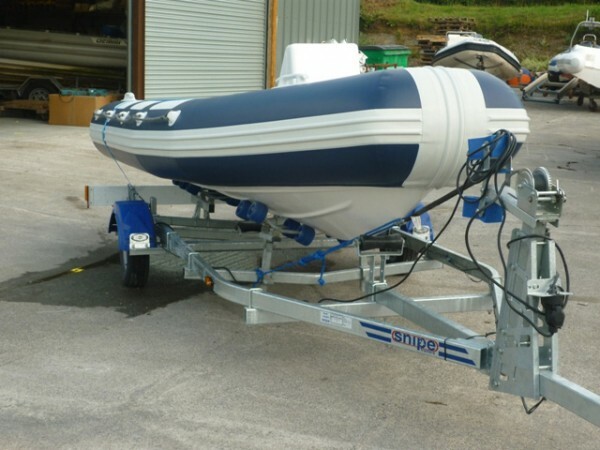 This RIB was recovered from a hedge, completely stripped back to the hull and repolisehd by the owner and then Tilley Inflatables have built and fitted new hypalon rib tubes in blue with white rubbing strakes, abrasion patches and lifeline holders. 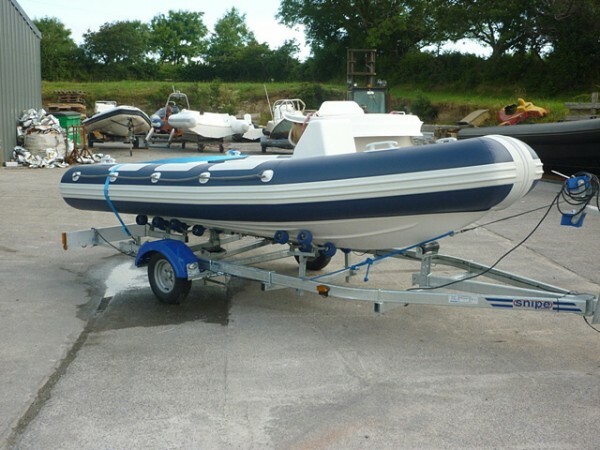 Looks like new. 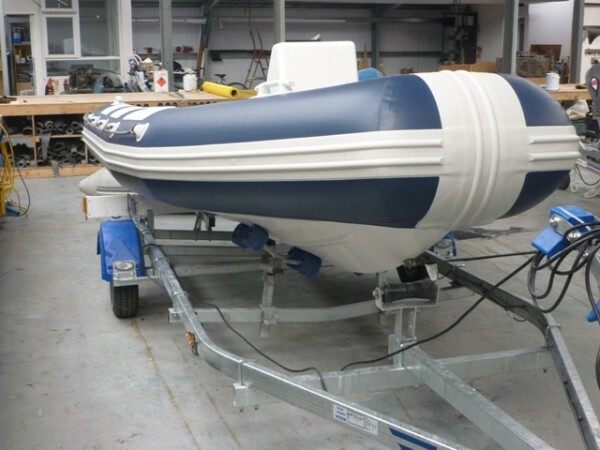 Tilley Inflatables Rimini RIB repair services, RIB Retubing, RIB Retube using Hypalon Fabric, RIB Tube Replacement, RIB Tube Repair, RIB Refurbishment, Seat Re-upholstering. 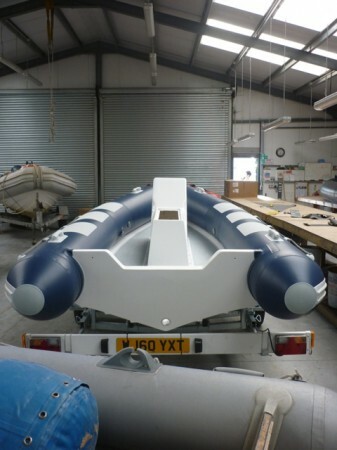 We aim to be very competitive on rib re-tubing cost so please contact us for a no obligation retube price quote for your Rimini RIB.